La Liga is still my main focus. Barcelona, Real Madrid, and Atletico Madrid are all living interesting times. I will start with Atletico Madrid. For many, Atletico is the club who will never regularly beat Real and Barcelona. I have a different opinion but will save it for next time. This time I would like to point out their recent two performances. I can be a little bit biased, as I, surprisingly for many, picked Atletico Madrid as La Liga 2018/2019 winner in Bold Soccer Predictions. I am still holding on with my pick and the last two matches just gave me further assurances. Atletico stays at the third place currently with 23 points for 6 wins, 5 draws and 1 loss. The only La Liga loss 0:1 came on 1st September 2018 against Celta Vigo. The only Champions League loss came in Dortmund three weeks ago and it was really devastating. 0:4 is not the result fans of Atletico digest easily. However, the reaction of the team was extraordinary. The home match against Dortmund was the spectacular performance. First half offensive was way above average for Atletico. Solid defense prevented Borussia from any real goal chances in the second half. The crowd at the stadium really went nuts after the game. That match really gives the reason to believe, that loss in Dortmund was just an exception. 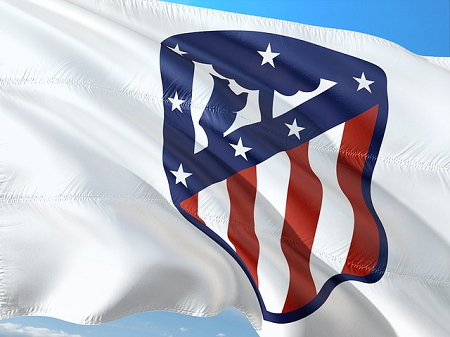 Next Saturday in La Liga Atletico Madrid showed another way how to win and how to fight with adversity. They were able to turn the match after the sleepy start and losing 0:1 and 1:2, with the late winner for 3:2. The “Never Give Up” attitude in its pure form. That is the reason why I believe in Atletico Madrid this season. I think Atletico is almost at par with Barcelona and Real at football skills, but the stubbornness is something extra. Something that can push Atletico to the title this season. Real Madrid officially announced signing a new contract with Santiago Solari till the end of 2020/2021 season. At first sight, it looks that Santiago Solari becomes the permanent coach for three following season. However, I am still not taking it as the done deal. I believe Solari signing is plain move to calm down the atmosphere. It is not easy to find a quality coach during the season after the deal with choice no.1 Conte fell apart. Now, all can focus on their job and Perez can look for a new coach without any unwanted attention. I guess that his main target is to lure Mauricio Pochettino. Argentinian coach of Tottenham Hotspur has a contract in London till 2023. However, his discontent with the current situation is clear. The delay in moving to the new stadium and the restricted sources for acquisitions are the main reasons why he can be tempted to leave for Madrid. I can imagine the blockbuster deal in summer for Pochettino, Kane and Delle Alli (or Eriksen). The deal which will let Real Madrid fans to forget summer 2018 and loss of Ronaldo and Zidane.